On March 7, Shenzhen MingQian Technology Co., Ltd. (SMQT) reached a strategic cooperation with Huaqiang Wisdom Network(HQEW). At Huaqiang Group Building 2,HQEW general manager Zheng Junliang and SMQT general manager Tony Cen held a signing ceremony. This strategic cooperation will provide a good opportunity for the development of both companies. HQEW will use its own brand and platform advantages help SMQT to enhance brand awareness. And through all kinds of on-line and off-line activities to help SMQT expand the market and promote development. Huaqiang wisdom network(HQEW) has accumulated a huge amount of data resources and client resources over the past 10 years and helped customers to promote cooperation and trade through huge resources. Zheng Junliang said that HQEW's advantageous resources and combination with SMQT's good quality access control and alarm product will bring both parties a good opportunity, and him thought the cooperation with SMQT is a win-win cooperation.finally him hoped that the cooperation with SMQT would bring both parities advanced to a new level. Tony Cen said, I believe Huaqiang wisdom network(HQEW)'s popularity and influence will bring a positive effect on Shenzhen Mingqian Technology CO.,Ltd(SMQT). 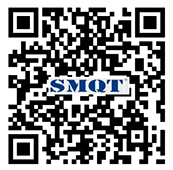 By HQEW's online brands and offline marketing channels more people can know and understand SMQT. This is a very good platform. We also attach great importance to this platform and hope that this cooperation can achieve mutual benefits and win-win situations. 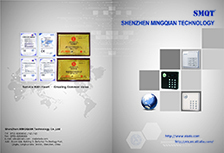 SMQT is the world's leading supplier of security equipment Mingqian devotes to offer the high-quality products, spread brilliant culture, struggle hard, keep developments, and promote the life value. Those are our goals. Being founded in 2006, SMQT's guideline is “ strict, meticulous, genuine, and constant”, which leads SMQT to improve the product quality. SMQT treat each client with true heart and honest, and support them carefully. Meanwhile, promote the quality growth with quality upgrade.Setting the simple clear customer-core target, SMQT develop and improve its product lines so that become one of leading security suppliers in the world.